Back in 2006, Yuma was featured in the PlayStation 2 game Yakuza 2 (龍が如2 – Like a Dragon 2 in Japan). The Yakuza games always feature hostess clubs as side missions to flesh out the experience: the goal being to seduce the girls by answering their questions, ordering things they like, and generally spending ridiculous amounts of money. 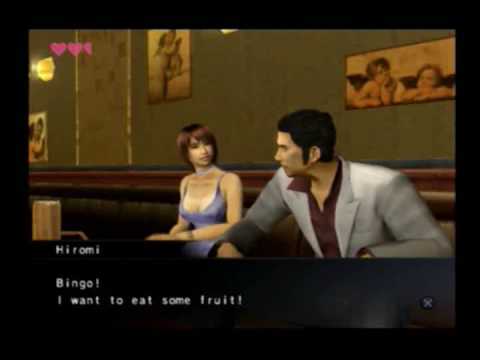 Rio from the Muscats has also appeared as a hostess, in Yakuza 4 on PS3. If you’d like to learn more about these typically Japanese clubs, I highly recommend watching the documentary The Great Happiness Space. Posted on June 6, 2011 by Ben. This entry was posted in Other.. Bookmark the permalink.